Are you a homeowner? Perhaps a sewer cleanout is not something you have given much thought to. Well, you need a side sewer cleanout to keep your sewer line clear. A cleanout is an access point that a sewer line technician can use for maintenance and to make sure you don’t get stuck with a clogged sewer line. It is an opening, hopefully capped with an overflow protection device, that you can use to clear a blockage with the right clearing equipment. The cleanout presents a quick and easy way to prevent your sewer line from getting backed up, or to clear it if it does get backed up. When your sewer line gets backed up, you need to clear it as soon as possible to prevent water from coming back up into your house causing water damage. A cleanout access point is the most efficient way to get that line clear fast enough to minimize any potential damage or flooding. 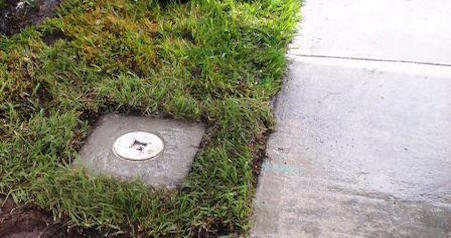 For any issues with your sewer lateral line in the North and East Bay Areas, Advanced Trenchless is here to assist you, including sewer lateral inspections, sewer lateral repair and trenchless replacement, clean outs and drain line cleanings. Ensure a Properly Functioning Sewer System with a Working Cleanout Today. Call Advanced Trenchless!